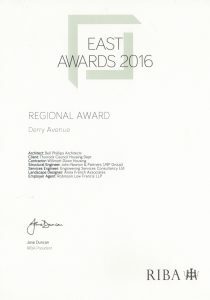 Derry Avenue in Thurrock (now named Bruyn’s Court) has won an award, congratulations to Bell Phillips Architects for a well deserved win! 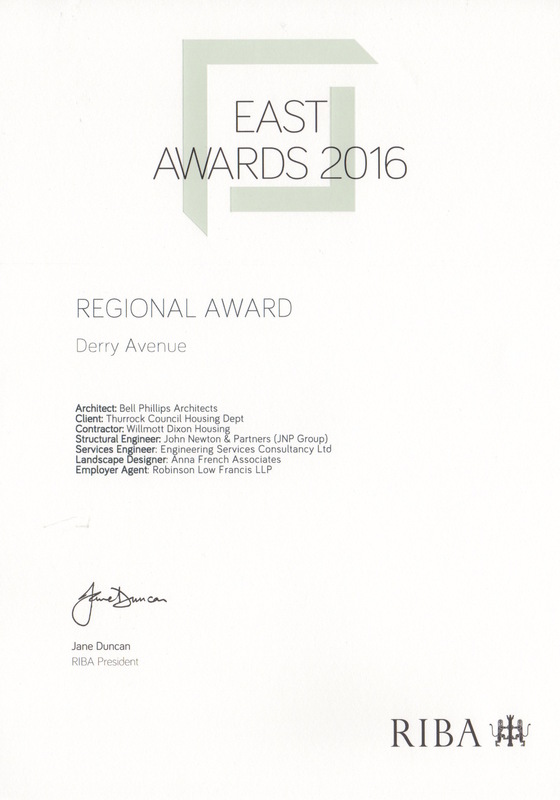 The quality of the architectural design work in this residential scheme commissioned by Thurrock Council and built by Willmott Dixon Housing is clear from first glance so it is no surprise to us that it is an award winner. We are told that the treatment of the landscape contributed to the judges good opinion of the scheme so that is very satisfying to hear!